The cute Clarisonic Mia has landed at Escentual, a more compact version of the original appliance that is absolutely perfect for those who are on the go (and colour magpies). You get all of the same capabilities of the original in a much smaller package. Rather than the futuristic but hefty charging dock, you get a really handy pLink charger, a compact device that attaches to the handle of the Mia magnetically. When you’re done, simply ravel the charger up and pop it away – an ideal solution for those who travel a lot. You use the same sized brush head as the Clarisonic Classic, but the device itself has been downsized slightly for ease of portability. With just one button and one speed, you only need to use this foolproof device for one minute to see an incredible difference. 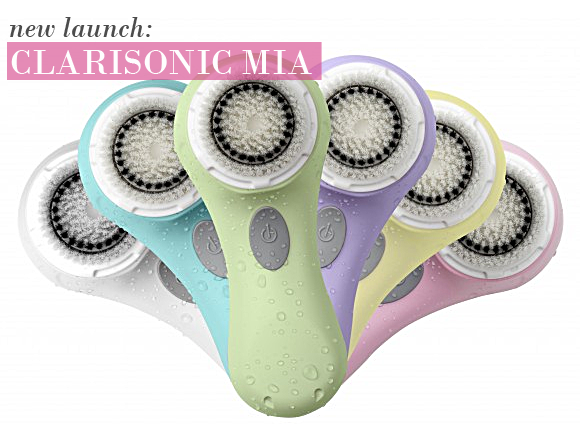 Aside from these aesthetic differences, the cleansing capability of the Clarisonic Mia is just the same as the original. Makeup and debris is removed with 6x more efficiency than manual cleansing, oiliness is reduced, dry patches are cleared up, pores appear smaller and fine lines and wrinkles are minimised. 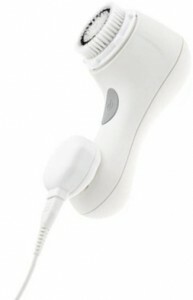 The Mia can be used by all skin types, even the most sensitive as the sonic brush movement is exceptionally gentle. The Clarisonic improves the efficacy of any cleanser, so you can use either the Clarisonic cleansers, or your own. All you have to do is pick your colour (blue for me, without question)! This product was bought for my daughters birthday and she absolutely loves it. She says it makes her skin feel wonderful and has recommended it to all her friends. As the purchaser I would like to commend your company for your brilliant customer service and fast delivery. This entry was posted on Tuesday, July 5th, 2011 at 3:03 pm and is filed under New products, Skincare. You can follow any responses to this entry through the RSS 2.0 feed. You can skip to the end and leave a response. Pinging is currently not allowed.